Obliteracers out now on PSN! Hey all, warm up your thumbs – Obliteracers is finally out on PSN! Grab it from the US PSN store or the EU PSN store. The Xbox One version has been delayed by a few weeks (coming in August) due to submission shenanigans, but we’ll let you know when it’s live. Happy explodenating! Obliteracers out now on Xbox One! Space Dust Studios Pty Ltd is an independent video game developer located in Melbourne, Australia, trading internationally as Varkian Empire. 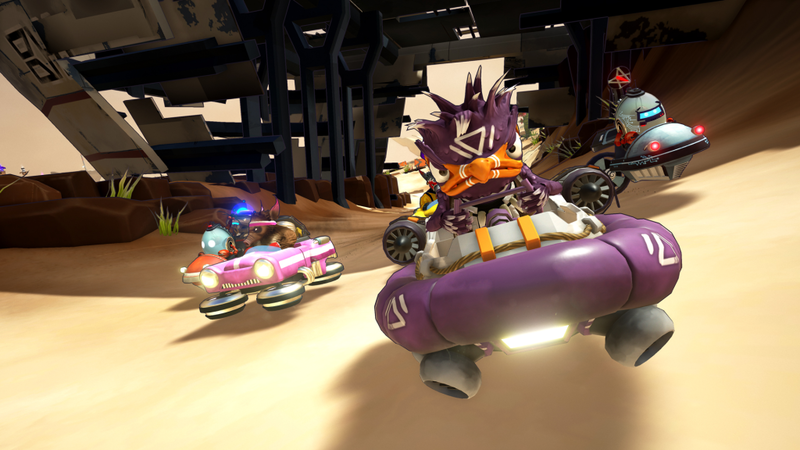 Our team of five are currently working on Obliteracers, an intergalactic party combat racer for PC/Xbox One/PS4, and use this game dev blog to share our thoughts on development and running an indie game dev business. We’ll cover everything from creative decisions through to gameplay, art style, technical notes, business stuff, workflow processes, and our boston terrier mascot Beans. We'd love to hear from you in the comments, or email us directly at info@spaceduststudios.com. Please see our company press kit or the Obliteracers press kit for more information. Obliteracers is now available on Steam! A new year, a new name: Obliteracers! Goodbye Kickstarter, hello Early Access!